A couple of years ago I started sharing my DIRT sheets – since first sharing the resources there have been over 10,000 downloads of my DIRT sheets (eck!) plus I’ve seen them used in China and South America. Since their first creation there have been 3 generations of DIRT sheets and a variety of posts link sharing. In order to make life easier for us all, I’ve uploaded them all to a single Google drive where you can access all 3 generations of DIRT sheet; so take your pick. You can access all of them here. Categories: DIRT, Resources | Tags: DIRT | Permalink. This post is well a post from the heart. It’s a topic I feel passionate about. During my PGCE I hated marking. It felt so tedious, ticking and flicking, in my second placement we didn’t even have to write any comments other than well done or great piece of work. It was boring and I didn’t see the value of it at the time, particularly as I had more important things to do like essays to write, lessons to plan, a dissertation to research etc. etc. During my NQT year I was introduced to RAG rated marking. Using felt tips we’d put a coloured dot at the end of the work in the appropriate colour based on student achievement and effort and write a comment and target. However, I can honestly say I barely gave students time to act on the target. They’d write the target in the table at the front of their book but that was pretty much it. I’d encourage them now and then to look at their target and reflect on whether or not they were working on it but yeah can honestly say I felt like the effort vs. impact was minimal. I was definitely working harder at marking their books than they were at taking feedback on board. During my RQT year, I moved schools and became Head of Humanities. I now had the opportunity to develop a system that worked for me and my students, especially as the school was setting up from scratch. It was a blank canvas. As a school we introduced DIRT, a dedicated time for students to read and act on feedback. I created DIRT sheets to help emphasis this work in student books. As a school we were using a generic marking system of codes for SPaG, positive comments and next steps. Each next steps comment was given a tick box for students to tick off once they’d acted on the feedback. In addition school policy was that we had to mark books every 4 lessons. To keep on top of it I had to create a marking timetable. I’d be marking EVERY week night in order to get through the books each week. On a Monday night I would try to mark two sets of books in one night in order to be able to give books back the next day for DIRT to take place. This would take me over 6 hours; I had a couple of frees on the Monday when I had this timetable so would mark for about 1 hour during the school day but the rest would be attempted outside. As you can imagine, I didn’t always get it done which meant DIRT wouldn’t take place again for another fortnight. At which point students had forgotten the task we’d been working on; sometimes even the knowledge behind it which would lead to further teaching before they could act on feedback. Hectic! I started to make a move towards a slightly different system with the introduction of marking and feedback grids. These allowed me to set up a task, wonder around the class, discuss with students the criteria they had already achieved and where I wanted them to go next. Live marking was made possible. I’d carry a highlighter and a pen, I’d highlight achieved success criteria and pop an asterisk next to anything I wanted them to focus on there and then. I’d take in work and spend about 20-30 minutes, highlighting any remaining criteria that had been achieved. It revolutionised the time I spent marking. The marking and feedback grids meant I was still able to provide diagnostic feedback through success comments and next steps as well as the timely provision of the opportunity to act on the feedback without it taking over my life. This is when I realised ‘we’ needed a change in the way we mark and feedback. And so the work on this began. During the summer holidays of 2015 I spent time identifying in the schemes of work, tasks that should be focused upon in regards to the provision of diagnostic feedback. We didn’t need to be marking and assessing everything so I picked out the important parts of each topic to assess in detail. Firstly some questions drove my planning – what were the skills, knowledge and understanding students needed to take away? Where would they be addressed again? How can we show progression? 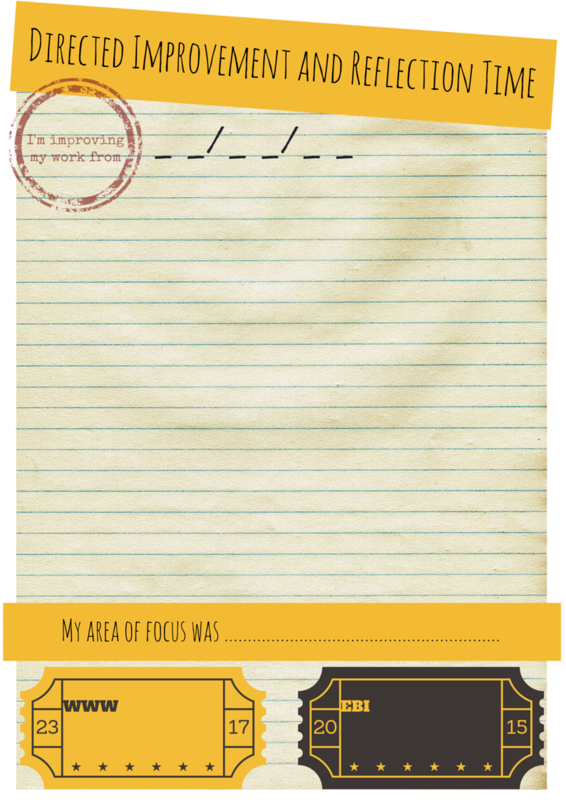 I mapped out in the schemes of work the skills to be used, lesson by lesson (ish). I looked at where peer assessment could be fitted in between teacher feedback and how that peer assessment could be used to progress students on. Honestly the peer assessment was okay, but there was definitely room for improvement to maximise its potential. In each unit of work, assessments were plotted based upon the school calender for data input and opportunities for DIRT to be undertaken mapped out in relation. All assessment work from each year group needed to be marked an assessed by data input week and since I taught almost every KS3 class as well as GCSE so had to ensure assessments were spaced out sufficiently to give me time to mark and assess them. In addition I wanted to ensure students had the opportunity to act on feedback before submitting work as completed. It was only when I started to assess, plan and teach in this manner that I began to recognise that giving students time to act on feedback at the end of a piece of work meant it was loosing some of its potential. Therefore since September in my new school I’ve started to implement opportunities to act on feedback within pieces of work. We now stop part way through, peer assess using ACE or SpACE peer assessment and then continue with the work set. Students act on the feedback in pink pen. Sometimes improvements are made in the margins or at the end of the piece of work. As students continue the work they try to make the improvements in the rest of it. For instance if a peer has suggested adding evidence to support a particular point already made, the student will add evidence. Later on in their work each time they add evidence to support future points made they write this in pink pen or highlight it to demonstrate they are continuing to meet the target set. Verbal feedback in my opinion is significantly under valued and accepted as a form of effective feedback. It’s timely, differentiated and allows for immediate action. I’ve never understood the need to evidence verbal feedback, why do students need to write down what you said? why do we have to stamp or write VF in books? why can’t the student just spend the time acting on the feedback given. If they act on it, they are immediately making progress, they hadn’t done a, b and c before your feedback, now they have… that’s progress right? I’m struggling to find an alternative to ‘evidencing’ verbal feedback, but personally believe we shouldn’t have to. Save time marking each book individually, instead can we not move towards a whole class approach? I now mark books with detailed diagnostic feedback less frequently but that doesn’t mean I don’t know where my students are in terms of their understanding. Instead I’ve started using Whole Class Feedback Sheets I will go through a set of books in about 30-40 minutes, noting down the reoccurring successes, any stand out work by students, any misconceptions and reoccurring SPaG errors. In addition I will write several next steps that could be implemented in a 10-15 minute DIRT session. In order to feedback to students, I scan and project the sheet on the whiteboard and verbally go through the feedback. Students write down any comments relevant to them and will give a round of applause to any students that have been highlighted for exceptional effort or achievement, this is probably the highlight of this approach – the shared appreciation of success. In terms of making progress, at present in student’s books I draw a set of steps and write a number that corresponds to the Next Steps on the sheet . Eventually I will leave this to students to contemplate which ones apply to them. Students then have 10-15 minutes to act on the next steps. If any students do not have a next steps as they have met the relevant success criteria they are given the opportunity to reflect on their learning through the use of the plenary board. Now this is one that’s currently going through my mind, I think it’s important for students to have short term and long term targets for progression. In the Humanities we tend to teach by topic with reoccurring skills, I’m hoping that my plans for a spiralling curriculum in geography will hopefully help to improve this however I’m still to finalise these ideas. I’ll come back to this at a later date, but ideas are welcomed. So where am I going with this post. Well essentially I think we need a mass culture change towards marking, it should be more about the feedback in whatever form it takes. Students don’t need teachers that are too weighed down by the stresses of marking 30 books each night after teaching all day. They don’t need teachers that can only provide feedback on their work once every fortnight. They need be able to access timely feedback from their teachers and peers, feedback that allows for progress to take place. Feedback that allows them to act on it swiftly, not weeks later. They need teachers that are given the freedom to decide for themselves what needs to be assessed and how and when to do it. These are my first steps towards reducing my marking workload, whilst maintaining a high standard of quality feedback for my students. It’s an ongoing process but something to think about for us all. 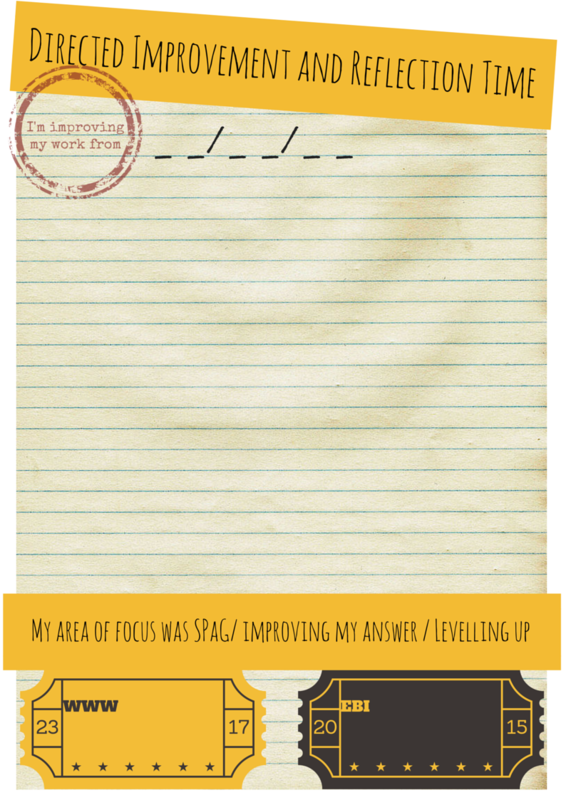 Categories: DIRT, Marking and Feedback, T&L | Tags: #feedbackNOTmarking | Permalink. As you’re probably aware by now, I do a lot of peer and self assessment, feedback and directed improvement and reflection time (DIRT) in my lessons. For some time now I’ve had students use different colour pens to make their peer/self assessment stand out. In the past I’ve used what I’ve had available, usually a combination of red or green pens. Often my students have had time to perfect their work, in order to do this they use a pink pen to highlight their improvements such as SPaG corrections. This year my main focus is incorporating this across my Key Stage 3 classes, since I’m at a new school as of September, it requires embedding. a) Firstly I’ve focused on incorporating peer assessment in lessons. In order to do this I give students a set amount of time on a task, when they reach the end of this time they swap books and peer assess. Firstly they look at SPaG and will identify any errors in purple pen using the following coding system. I ask students to also give a kind, specific and helpful comment at this point to identify how the student could improve their work. To start with I give suggestions on the board, but hopefully I can remove this scaffold in due course. b) Next step is perfecting what has already been done. Students will take a pink pen and make any corrections to the work that has already been completed. c) Students then take steps in the remainder of their work to meet the target set by their peer. They will write the majority of it in their usual colour pen, however when they do the thing their peer suggested, they write this in pink pen to make it stand out when I mark their books. This speeds up my marking process significantly. d) When I mark the books I take note of key points such as SPaG errors, misconceptions, praise and any other next steps I feel are appropriate on a feedforward book look record sheet. I give any misconceptions and next steps a code and write this in student books. I then scan the sheet and display it on the board. Students then write down the comments that are relevant to them and act on them during a Feedforward session (aka DIRtime). So far this year they’ve simply done this in their usual colour pen, however I’m introducing that this is done in green pen after the half term again so it stands out to me when I mark their books. In order to support students I’ve created this poster to identify relevant colours and what they represent and what double ticks and the steps represent in their books. I have to say that this method is one way my evening workload has reduced so far this year. The instant feedback and resulting action being taken immediately is far more effective than receiving my feedback several lessons later. What do you think? Opinions welcomed. Categories: AFL, DIRT, Displays, Feedforward, Marking and Feedback | Tags: #feedbackNOTmarking, Marking and Feedback | Permalink. Following my own presentation at #pedagoohampshire16 I’ve decided to try out marking crib sheets and whole class feedback in order to be able to check books more regularly but mark less since I want marking to inform planning as much as possible. Following on from some inspiration from @MrThorntonTeach I decided to make a marking crib sheet which I’ve called the Feedforward Book Look Record. The idea being that I will use the findings from the book looks for plan the following lessons. That way resources, activities and next steps can be catered for the class/individuals thus closing the gap sooner rather than later. Quite simply I will look through a set of books as I do I will complete the relevant sections of the record sheet. Praise – highlight whole class and individual successes, make note of any rewards that need to be given. Unfinished work – make note of any students with work that is incomplete in order to discuss completion with students in class. Misconceptions – outline any misconceptions both individual and reoccurring misconceptions to late deal with during the planning of the next lesson. SPaG – take note of any spelling mistakes that can then be incorporated into a learning activity, as well as any punctuation and grammar errors that are reoccurring so that suitable tasks or targets can be created. Next steps – generate any questions or tasks that can be worked upon as part of the DIRT process, also highlight any particular skills I want students to work on in the work that follows. Assessment of understanding – here I will simply place students initials where I feel their understanding of the work lies I will probably only write out those I feel are in the amber or red categories so I can focus on them in the following lesson/s. 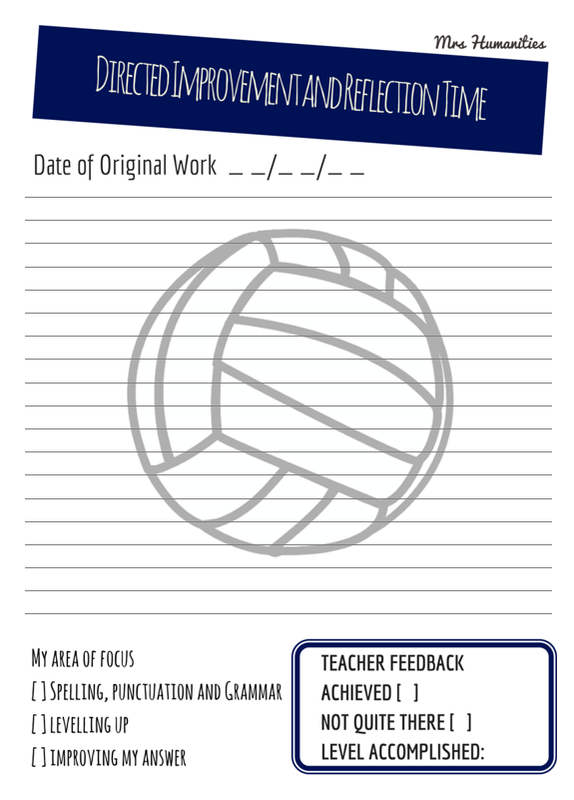 Categories: AFL, DIRT, Feedforward, Marking and Feedback, Resources | Tags: #feedbackNOTmarking, AFL, Marking and Feedback, Resources | Permalink. 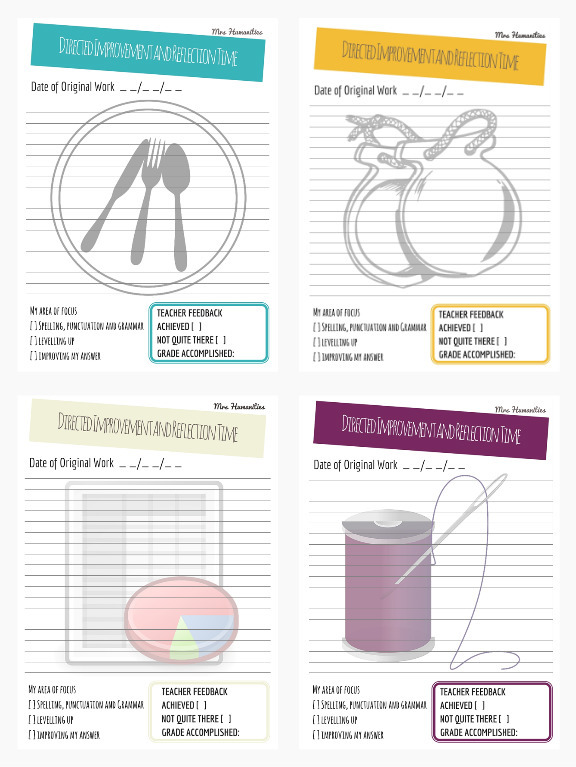 After seeing a post on Friday about tip, think and challenge marking on TALK Bridgewater I was reminded of the resource I’d created with 15 ideas for Marking, Feedback and DIRT for a CPD session and was inspired to update it a bit. So I’ve updated it with 3 new approaches and have included it here for you to download – 18 Ideas for Marking, Feedback and DIRT. A full presentation ready to go with links to the original source of any images. Choose your assessment objectives – Remember you can’t mark everything so decide on what it is you want to assess before planning, that way then you know what it is you want to look for in your marking. Make it manageable – Yes stick to the school policy but find a way that limits how much you do outside of school and that puts onus on the students. It’s for their benefit after all. Peer and self assessment? Feedback grids? Marking stickers? Mark in class – Now I don’t mean sit at your desk and let the students get on with it, but when students are on task, read their work and have discussions with them about where they are at present and what they can do to improve what they’re working on. Feedback grids for extended pieces of work are marvelous for this, simply highlight achievements in one colour and areas to improve in another, simply tick off the improvements once complete. Make sure the students have time to respond – factor DIRT or reflection or whatever else you call it into you planning. It’s essential students have time to read, reflect and respond to all those hours of writing you’ve done. Make sure they spend longer responding to your feedback than you took giving it. Experiment – you won’t find what works best for you and your students without experimenting a bit. I’ve done this hell of a lot of this over the past few years and have just about found what works for me and my classes. Although I will admit what works for one class doesn’t necessarily work for others; there’s certainly some mix and match going on. Now I’m no guru when it comes to marking, feedback and DIRT but I spend a lot of time doing it, so these are just a few of my thoughts on the topic. 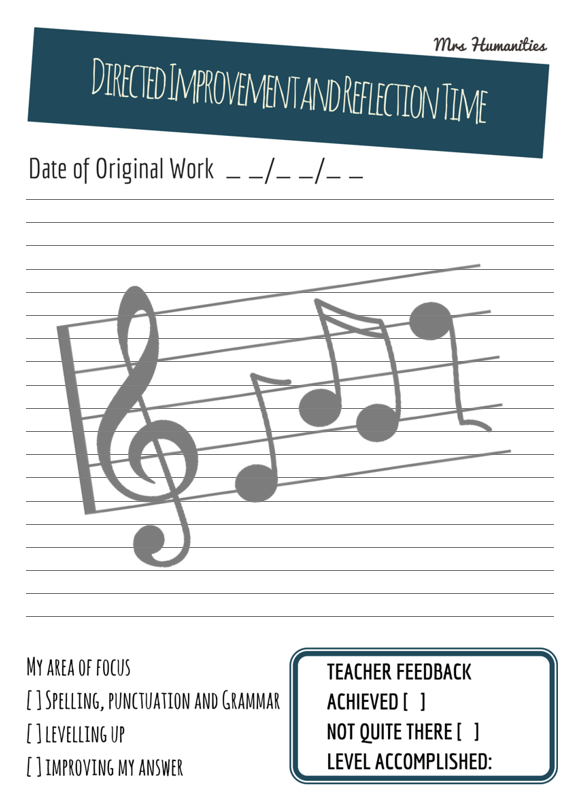 What’s your approach to marking and feedback like? Any other tips or ideas I should add? 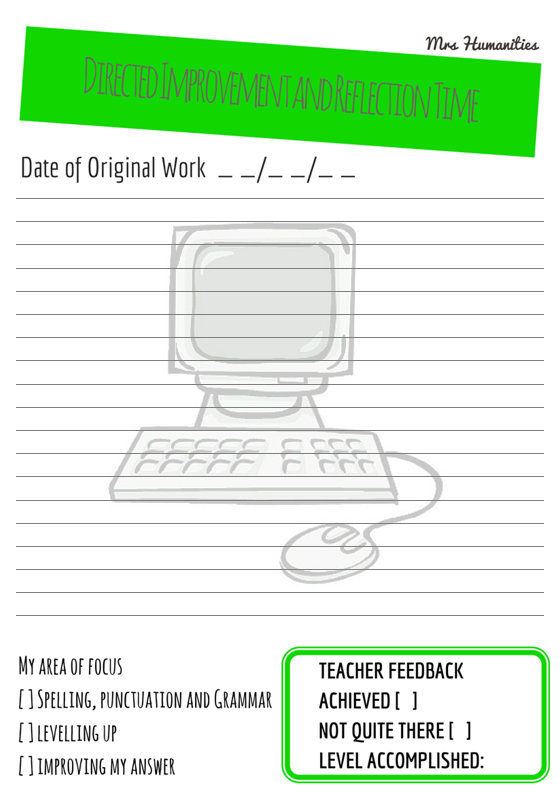 Categories: AFL, DIRT, Marking and Feedback | Tags: AFL, DIRT, Marking and Feedback | Permalink. After such a great response on twitter about my DIRT sheets, I decided to add a few more to the selection that I made available here. What do you think? Suitable colours? I couldn’t decide. Categories: DIRT, Resources, T&L | Tags: AFL, Classroom Resources, DIRT | Permalink. Saturday was a good day, I relaxed a lot and by the evening felt rather creative so I decided to make some DIRT Sheets for Directed Improvement and Reflection Time. The idea will be that pupils will be provided with feedback in their books on how they could improve certain pieces of work. Then they will have the opportunity to improve a piece of work during DIRT. They will focus their improvements on one of three key areas – improving their spelling, punctuation and grammar (SPaG), their answer as a whole or trying to improve the level of their response (levelling up as I like to call it). I’ve never used DIRT sheets before but figured it would make it easier to demonstrate the work completed during DIRT as well as making it easier to find the improvements in their books. At present the school policy is that you leave comments in the books and pupils respond to them every 4 lessons. I find that because I only have my classes twice a week, by the time I mark the work and get it back to them they need reminders of what the task entailed and this usually results in botched attempts at improving it. This way I hope they decide how to improve their chosen pieces of work and it will result in better quality improvements and greater progress over time. I’ll give it a go and see how it works. Update to follow. Have you ever used anything similar? Does it work for you? 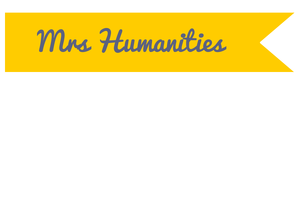 Categories: AFL, DIRT, KS3, Resources | Tags: DIRT, Feedback | Permalink.